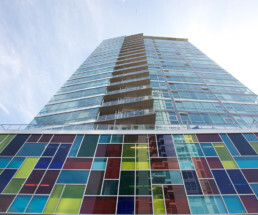 This landmark in Victoria Park is a spectacular display of an architectural exterior matched by its interior. 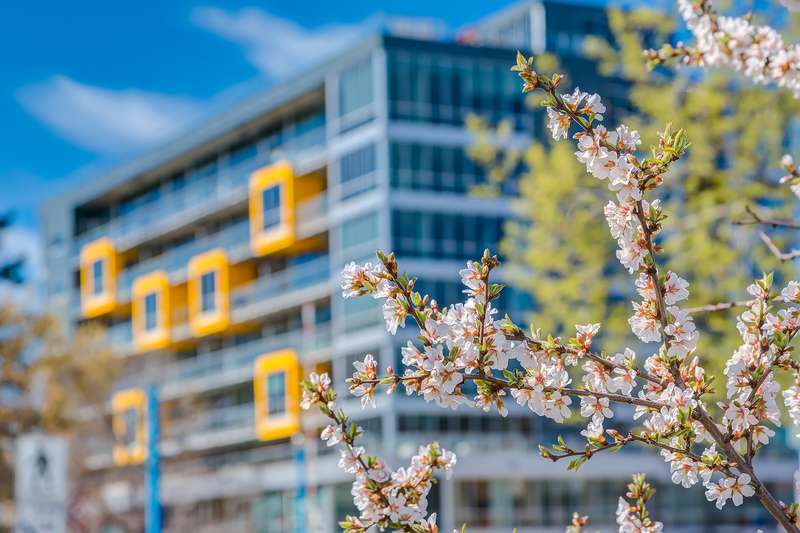 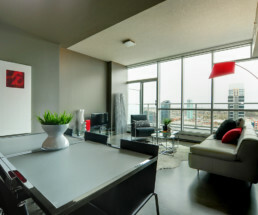 This 22-storey condominium features 209 units and an above-ground parkade spread over three stories, also plays home to a large area for bicycle storage, and an intimate promenade on the fourth floor, offering space to connect. 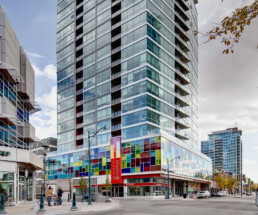 The raised parking structure provides an opportunity for a signature two-storey glass art wall creating a vibrant first impression from the sidewalk for residents.